...such great places as Camlica Hill and the Maiden's Tower. 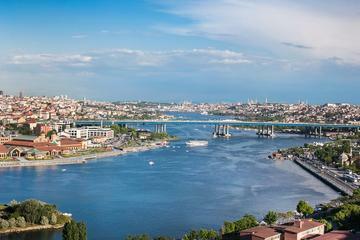 Just enjoy special moments in Istanbul by admiring sea views. 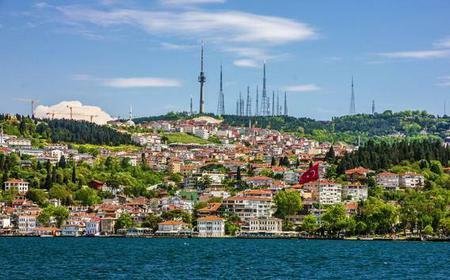 ...e, Pierre Loti Hill, Camlica Hill and the Maiden's Tower. 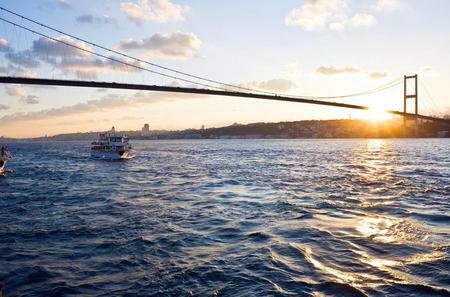 Just enjoy special moments in Istanbul by admiring sea views. 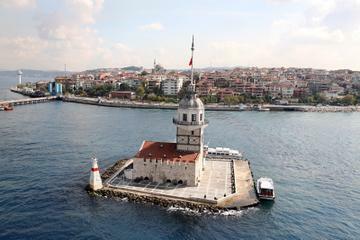 Maiden's Tower, also called Leander's Tower, is built on a small islet surrounded by waters of Bosphorus off the Üsküdar coast where you can have breakfast before noon (a standard breakfast costs 35 TL pp), have drinks during day or dine (mid-expensive) inside the tower itself. 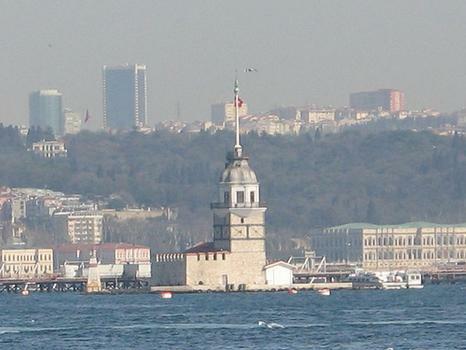 Maiden's Tower, also called Leander's Tower, is built on a small islet surrounded by waters of Bosphorus off the Üsküdar coast where you can have breakfast before noon (a standard breakfast costs 35 TL pp), have drinks during day or dine (mid-expensive) inside the tower itself. 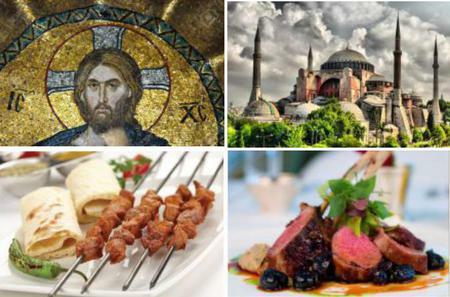 The Tower is accessible by boats both from Salacak (very frequent intervals four seasons) or from Kabataş in European Side, on the Bosphorus waterfront at the end of the funicular line from Taksim Square (about once every two hours, summers only). Story has it that a powerful emperor built the tower in the middle of the sea to protect his beloved daughter from death after hearing a prophecy told by a fortuneteller, but a snake had found its way to the tower (inside a basket of fruits) and, as you have already guessed, had bitten and killed the princess, although in reality it is far more likely that the place was built as a lighthouse to warn the ships entering the Bosphorus about the rocky islet the tower was built on. There is also a viewing area on the coast directly opposite the Tower where you can buy tea and sit down to enjoy the beauty of Bosphorus while listening to traditional Turkish music-much cheaper than the Tower itself. It is recommended to visit right at sunset, when the sun is reflecting off the water and the Tower's lights are turning on. Also at the viewing area, there are 2-person gondola rides.